Home > About Redundancy > Am I Eligible for Voluntary Redundancy? Voluntary redundancies occur when a company is facing financial difficulty or has too many staff for the job that needs doing. Employers often prefer to offer voluntary redundancy rather than compulsory because it is better for work morale if employees feel like they are not being made to take redundancy, but are being given the option. Voluntary redundancy can be expensive for employees though, so even though they have offered it to everyone they might still decide to pick and choose who they allow to take it. Your answers to the below questions should give you a good idea as to whether your employer is likely to choose you for redundancy. 1)	Has Your Company Offered Voluntary Redundancy? 2)	Are You a Long-term Employee? 4)	How Many Redundancies Need to be Made? 5)	How Specialist is Your Role? On paper you sound like you are the ideal candidate for voluntary redundancy. If you have been with the company a long time it will cost your employer more to offer you voluntary redundancy because they will have to give you a large payout. They may however prefer to offer you voluntary redundancy if you are thinking about winding down or retiring. Offering voluntary redundancy to those that are looking to retire boosts the morale of the other workers and makes them feel more secure about their own role. If there is more than one person who can do your job you will be less of a necessity to your employer as they can rely on one of your colleagues to fill your role. If they are looking to offload around 30-40% of the workforce through voluntary redundancy this will increase your chances of your application being accepted. You sound like you could be eligible for voluntary redundancy if this is what your company has planned. Not all employers will offer voluntary redundancy, even if there are redundancies on the cards. It is not a good idea to put yourself forward for voluntary redundancy until this has been officially been requested for by your employer. If there are a couple of you that do the same job it will depend on how many people apply for voluntary redundancy, it may be that your employer has to choose between you all. In this instance if the company wants to show employee loyalty and create a good feeling amongst the remaining workforce they will normally opt for the older candidates and those that have been with the company the longest. If you are not planning on retiring though you should be careful if you volunteer for redundancy late in life, as your chances of finding employment elsewhere could be reduced. Unfortunately it sounds like you are unlikely to be offered voluntary redundancy. Your colleagues are likely to be offered voluntary redundancy before you because they will have been there longer. If you are the only one that does your job your employer is likely to want to keep you. If you are new to the company your employer will be unlikely to offer you a large payout because you have not been with the company for a long time. Larger corporate companies will not always follow these guidelines and if they are keen to shed a lot of staff they will choose those where their roles double up. It will ultimately be your employer that decides who they are willing to offer voluntary redundancy to. If your job is one of a kind it is less likely they will want to part with your skills, unless off course they are not needed anymore. If you apply for voluntary redundancy and are unsuccessful it may lead to an uncomfortable working atmosphere as they know you want to leave. But for many voluntary redundancy offers a get out of jail free card and a hefty lump sum, for those who can find employment elsewhere. My work place is currently going through staff restructure and voluntary redundancies were an option. My request for VR was rejected as my pension costs could not be met. I am now being forced into an interview for a job I no longer want against people who do want a job knowing that one of us will still be made redundant. If I score the lowest the head will have no choice but to make me redundant with full pension. If I dont score the lowest someone else will be made redundant. My question is, am I legally bound to attend the interview and where would I stand if I didn't? Would he then have to make me redundant anyway or is it a sackable offence? I have worked for Bt for 31 years and they were offering voluntary redundancies which I applied for but was rejected as they said I had a unique set of skills. They are now saying that I have to reapply for my job but with no company car and I will have to work in an office 45 miles away (I am currently a home worker).Are they obliged to give me a redundancy package? Hi My company were looking for volunteers for voluntary redundancy as a cost saving exercise. I applied for redundancy but was refused due to being "too important to the business " as I am a loyal and high performing employee. Other managers who applied were accepted! Do I have a case to appeal as my reason for refusal was they didn't want to loose me? So do I now resign or appeal? Hi there, Recently, the company I work for announced that they will be restructuring the marketing team and that all of us should re apply for jobs in the new structure. There didn't ask for voluntary redundancy, they only said there are 3 less jobs in the new team. In the new structure, there is no similar title to the one I have (only higher or lower) and also my specialisation in my current role has been removed in the new structure. ultimately, if i apply for a role I will be doing a different job (will not be specialised to what I am doing currently) and will lose my title and my direct report. Also, there is a manager who was in the similar position as myself and he asked for redundancy and got it. I have also asked for redundancy but they have refused because they say that my job description has many similarities to the new job descriptions and that taking away my direct report and managerial responsibility is not a significant change which I believe is. In addition, my job description is very specific to what I do today but the new job description is very vague and not focused in one area/specific focus. Can you please advise what to do? I do not want to be demoted by applying to a job that is a level under and also not to work on projects that are not my specialisation. I am thinking to get a solicitor and I am also writing them a letter to explain again the reasons I put myself forward for redundancy. Thank you so much. I am a senior manager in a UK business, successfully leading a team of 60 for the past 4 years. My manager is trying to fundamentally change my role, removing responsibilities, and assigning me duties that I don't want to do (i.e. I wouldn't have applied for a job doing these duties). He is saying that team morale is low although when asked to substantiate his comments he can't/won't. Other managers have also been assigned into my team, at the same grade as me, taking the management team from 1 (me) to 5. I am confident that there is no need for 5 of us at the same grade. I have 19 years service; can I request voluntary redundancy, or is this more akin to constructive dismissal? In the first instance, you may wish to question your manager's motivations either informally or through a grievance procedure if you feel you are being undermined, please see link here . You cannot ask for voluntary redundancy if your job still exists and no suggestion of voluntary redundancy has previously been made. I am a senior manager in a UK business, successfully leading a team of 60 for the past 4 years.My manager is trying to fundamentally change my role, removing responsibilities, and assigning me duties that i don't want to do (i.e. i wouldn't have applied for a job doing these duties).He is saying that team morale is low although when asked to substantiate his comments he can't/won't.Other managers have also been assigned into my team, at the same grade as me, taking the management team from 1 (me) to 5.i am confident that there is no need for 5 of us at the same grade.I have 19 years service; can i request voluntary redundancy, or is this more akin to constructive dismissal? @KS - you'd have to be able to prove it! Following an appeal for volunteers I have expressed interest but been refused voluntary severance. I believe this is because of my gender (female) being in a minority with the skill set I have. I am also senior and long service so would be expensive to lay off under the enhanced scheme the company offers. Is this discrimination? The IT company I work for are intending to make roughly 15-20% of the workforce redundant and have asked for us to apply for VR if we wish. I have been at the company for 15 years and wish to use this opportunity to leave as I have been unhappy for a while. My concern is there is only one other colleague who manages the same systems as me who also is intending to apply for VR, so I assume they will not give it to us both. I don't know how much to negotiate as a result, and almost can't bear the idea of this other colleague receiving a pay out as I'm stuck there! I have been there longer but our skill set and performance are pretty similar. Help! It's a tricky question to answer, as it is impossible to predict the result, or whether either of you will be offered redundancy. Your employer should use a fair and objective way of selecting you, which you can see via the link here . The IT company I work forare intending to make roughly 15-20% of the workforce redundant and have asked for us to apply for VR if we wish. I have been at the company for 15 years and wish to use this opportunity to leave as I have been unhappy for a while. My concern is there is only one other colleague who manages the same systems as me who also is intending to apply for VR, so I assume they will not give it to us both. I don't know how much to negotiate as a result, and almost can't bear the idea of this other colleague receiving a pay out as I'm stuck there! I have been there longer but our skill set and performance are pretty similar. Help! Hi, the company I work for are currently going through a restructure. My job role will no longer exist from 31/03/2018 but I had the opportunity to apply for an alternative role which would have been a step up. I decided not to apply for the role as although it would mean a pay rise, it was a completely different role that would require a lot more travel. Staff had the option to apply for voluntary redundancy but were told this would be considered on a case by case basis. I applied for voluntary redundancy and was told I would need to attend an interview to discuss this, now I'm worried about what to say in the interview in case they use it to refuse my request. I've worked for the company for just over 9 years, my colleagues have applied for the new job roles so I know the company have enough applicants to cover the new roles. I'm worried that they will refuse my request and tell me that I intentionally made myself unemployed as I didn't apply for the alternative role. Can this happen and is there anything I should avoid saying in this interview? Only if you are offered a job, you say the new job is not suitable and your employer disagrees, can your employer possibly refuse to pay your redundancy payment, please see link here . As it is, you have not been offered the new job, you were only encouraged to apply for it. The CAB link here will also give you more information on the process. We cannot advise you what to say in the interview. However, it sounds as though your company is going through the correct procedure to date, so you are unlikely to face an unfair dismissal issue. Hi, the company I work for are currently going through a restructure. My job role will no longer exist from 31/03/2018 but I had the opportunity to apply for an alternative role which would have been a step up.I decided not to apply for the role as although it would mean a pay rise, it was a completely different role that would require a lot more travel. Staff had the option to apply for voluntary redundancy but were told this would be considered on a case by case basis.I applied for voluntary redundancy and was told I would need to attend an interview to discuss this, now I'm worried about what to say in the interview in case they use it to refuse my request.I've worked for the company for just over 9 years, my colleagues have applied for the new job roles so I know the company have enough applicants to cover the new roles. I'm worried that they will refuse my request and tell me that I intentionally made myself unemployed as I didn't apply for the alternative role.Can this happen and is there anything I should avoid saying in this interview? Nine of us do the same role & we were advised a week before consultation began that we would be at risk & the company would listen to voluntary if anybody was interested. I advised my line manager on several occasions that I wished to pursue this, however would have to wait until consultation officially began. The day before consultation began, I was advised that another colleague (the oldest & longest serving) had accepted VR so I along with the others were no longer at risk. Is this fair? Should we all have been allowed the same opportunity seeing this was arranged outside consultation period & I made it clear I was interested? Your employer will select the people to be made redundant from everyone who volunteered. It’s up to your employer if they select you for redundancy. Just because you volunteered to be made redundant doesn’t mean you will be, please see CAB link here. @Dave - Even all those who have applied for VR might not be accepted. It's a tricky one as you could ask, but you may be refused and then your employer will know you have considered wanting to leave the company. If you're ok with your employer wanting to know that - then go for it. Hi my company has offered VR however i was excluded from this as i received an above standard rating for the previous performance year. Those who were offered the VR have received there quotes. Is it possible to put myself inscope for VR even though i was considered as out of scope? The company I work for was offering VR in October 2016 and although I asked for a VR quote I was not in a position to accept it.Now the closing date for submission has passed, I've typically just received a job offer.Even though all of my colleagues who took the most recent VR haven't left yet, is there nothing I can do? I'm afraid there is nothing you can do with regards to this - it's purely a case of bad timing. The company I work for was offering VR in October 2016 and although I asked for a VR quote I was notin a position to accept it. Now the closing date for submission has passed, I've typically just received a job offer. Even though all of my colleagues who took the most recent VR haven'tleft yet, is there nothing I can do? I am 67 years, work for local government and took flexible retirement 18 months ago. I still work 3 days per week and claim my pension. Due to funding problems, staff have now been asked for volunteers for voluntary redundancy. Can I legally apply? My company is under goinga resturcture and we had a meeting on the 16th January andwe were told thatVR would be taken on the 3rd of Febuary i feel that this was such a short time period i could not make such a life changing decision in such a short time frame so on the 6th Feburary told them i was staying 15 days on i feel that i made the wrong choice are there any grounds in which i can now take VR. Hi, last year I applied for VR and was told my request was denied. Today, compulsory redundancies were announced, Yet again I was overlooked/not chosen, however, some people who had VR denied last year were approached and got given VR this time around as well as those who got told they were getting compulsary redundancy. Is there anything I can do to object to the way I have been overlooked again. Hi I have worked for the council for over 20 years and in April last year they announced they were making changes within the structure of the council and making redundancies! I am in my sixties and did not want to work in the New structure and therefore put myself forward for voluntary redundancy along with many others! In Sept 24 people out of 30 got their voluntary redundancy but I did not! I have been off sick since with work related stress as I do not feel I can do the new role and I feel like I have been discriminated against in the fact that I did not get my redundancy because of my age as they knew I would be retiring soon and would most probably leave with all the changes! Is there a certain criteria they should have adhered too or can they pick and choose as they like! Is it worth putting a grievance in against them? If you feel you have been unfairly treated then you would have to prove that age discrimination was taking place. 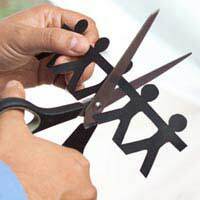 If cost-cutting is the reason for redundancy, then your employer may be able to justify their reasons within that specific remit. You would really have to go back through the consultancy period to see if there is anywhere the council has been less than transparent. However, I suspect there will be clauses in your consultation paperwork that adequately justify the reasons why you were refused. If you are still in doubt - ACAS or your union will help you here. I have been offered voluntary redundancy including 12 weeks pay in lieu of notice. I work for the local authority. How soon can I apply for employment doing a different role within the local authority or other local authorities. Do I have to wait until after the 12 weeks are up. Hi, I have worked for my current company for 3/4 years as a project manager, the company have rebranded and the line of work I do is no longer advertised. I'm currently sat with no project to manage, the companies I did work for have gone elsewhere and I'm losing the will to live... what's the odds of me getting redundancy? They may have driving positions but it's not a job I have done before and I have 15 points on my license so it's not a wise move..
@Dormouse - yes, if that is the company's new policy they can make these changes. M.